Carlos Ortiz focuses his practice in the areas of consumer, commercial, immigration, employment, class action and complex bodily injury-related litigation. He has successfully tried both jury and bench trials, and has prevailed on a number of dispositive motions that he prepared and argued. Mr. Ortiz litigates cases in jurisdictions across the country, as well as before various administrative bodies, and practices in federal and state court. He handles all phases of litigation, from developing a cost-effective and results-oriented case strategy, to taking depositions of lay and expert witnesses, drafting dispositive motions and memoranda, alternative dispute resolution, trial and appellate work. Mr. Ortiz has also negotiated resolutions involving terms favorable to his clients in hundreds of matters that included individual and putative class claims. He is licensed to practice law in the state courts of Illinois and Wisconsin, as well as in a number of federal courts. In the consumer, commercial and class action litigation arena, Mr. Ortiz frequently defends against claims arising from the application of the Fair Debt Collection Practices Act (FDCPA), Fair Credit Reporting Act (FCRA), Telephone Consumer Protection Act (TCPA), Truth-in-Lending Act (TILA), Real Estate Settlement Procedures Act (RESPA), Illinois Collection Agency Act, Illinois Consumer Fraud and Deceptive Business Practices Act, Wisconsin Consumer Act, as well as various state and federal consumer and mortgage-related laws. His clients in this area include businesses, corporate entities, mortgage lenders and servicers, creditors, asset purchases and third-party debt collectors. Additionally, Mr. Ortiz represents clients regarding investigations by regulatory agencies and attorneys general, and has counseled clients in responding to subpoenas in this context. Mr. Ortiz also is experienced in handling fraud, trade secret and breach of contract and warranty cases. In the area of immigration law, Mr. Ortiz focuses on both family and employment-based immigration matters. He assists individuals with obtaining permanent residency and citizenship in the United States. Mr. Ortiz also works with employers and religious entities in obtaining various work visas for their foreign employees. He counsels employers on Form I-9 compliance and Social Security no-match letters. In addition, Mr. Ortiz works with clients on international migration issues. Mr. Ortiz's experience in this area includes, but is not limited to: successfully petitioning for visas under B-1, B-2, E-1, E-2, EB-1, EB-2, EB-3 H-1B, H-2B, H-3, J-1, K-1, L, O-1, P, TN, TD, and R. He has also handled matters involving asylum and temporary protected status. Mr. Ortiz has also litigated matters involving alleged violations of state statutes that govern non-lawyers consulting on immigration matters. He also has handled appeals to the Administrative Appeals Office. With respect to employment and complex bodily injury-related litigation, Mr. Ortiz often represents employers in lawsuits alleging claims involving harassment and discrimination, the Fair Labor Standards Act (FLSA), the Americans with Disabilities Act (ADA), wrongful discharge, and various other state and federal employment statutes. He also handles claims involving enforcement of restrictive covenants, and has successfully obtained temporary restraining orders and injunctions. Mr. Ortiz counsels employers on risk management and compliance issues. He has extensive experience in defending against workers' compensation claims. Mr. Ortiz's practice has also included the defense of professionals in the context of medical, legal and accounting malpractice claims. He has litigated insurance coverage issues, as well as construction contractual disputes. Mr. Ortiz also provides business counseling and has handled incorporation and general contract matters. He is experienced in product liability and transportation litigation. 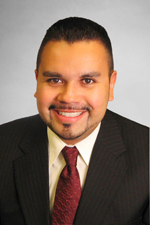 Mr. Ortiz joined Hinshaw & Culbertson LLP as an associate in August 2004. Previously he was a summer associate with the firm in 2003. He became a partner in 2010. During law school, Mr. Ortiz was a law clerk at the firm formerly known as Wickwire Gavin, in Madison, Wisconsin, where he prepared dispositive motions involving negligence, breach of warranty and construction-related claims. In addition, he was a summer associate in the legal department at Edward Kraemer and Sons Construction Company in Plain, Wisconsin, where he prepared summary judgment briefs in defense of ADA, Title VII and wrongful termination claims, as well as managed and developed strategy for defense of workers’ compensation claims. Mr. Ortiz also assisted with employee training and counseling on compliance issues. In addition to his other law school accomplishments, Mr. Ortiz was selected to join the Moot Court Board. He was a member of the Dean’s List, and was elected president of the Latino Law Students Association. Mr. Ortiz received the G. Young Excellence in Service Award (2003) and the Bruce F. Beilfuss Memorial Service Award (2004). He achieved the highest grades of his class in equal employment law and constitutional law. He was awarded a full tuition merit scholarship to attend the University of Wisconsin Law School. Mr. Ortiz was and remains active in the law school’s LEO Program, which promotes diversity in the law, and hosted the LEO annual banquet in 2003. In 2001, Mr. Ortiz was a summer intern with State Farm Mutual Insurance Co., where he worked as a fire claims representative, investigating, analyzing, negotiating and settling complex property claims. Mr. Ortiz also was a project engineer summer intern with Walsh Construction Company in Chicago from June 1995 to January 2001. Mr. Ortiz graduated high school with honors from St. Ignatius College Prep in Chicago. Carter v. Monarch Recovery Mgmt., Case No. 16 C 6376, 2018 U.S. Dist. LEXIS 44882 (N.D. Ill. Mar. 20, 2018) – as part of defense team, obtained summary judgment in favor of collection agency defendant in an action under the Fair Debt Collection Practices Act after successfully arguing that collection letter was not misleading when it stated that interest and/or fees could be added to the outstanding balance because the creditor, from time to time, would add interest and/or fees. O'Neill v. Northland Grp., Inc. et al., Civ No. 16-4266 (KM) (MAH), 2017 U.S. Dist. LEXIS 67982 (D. NJ May 3, 2017) – obtained dismissal on a motion to dismiss in favor of collection agency defendant in a putative class action under the Fair Debt Collection Practices Act where the plaintiff alleged that a letter that included a settlement offer was misleading because it allegedly was misleading as to the defendant's authority. St. Pierre v. Retrieval-Masters Creditors Bureau, Inc., Civ. Action No. : 15-2596 (FLW)(DEA), 2017 U.S. Dist. LEXIS 42875 (D. NJ Mar. 24, 2017) – obtained dismissal on a motion to dismiss in favor or collection agency defendant in a putative class action under the Fair Debt Collection Practices Act after successfully arguing that a contract the plaintiff alleged he entered into for the E-Z Pass of payment for highway tolls did not establish a "debt" for purposes of the FDCPA. In re Byung-Woun Seo, BK No. : 10-30673, 2016 Bankr. LEXIS 4677 (Bankr. N.D. Ill. Nov. 3, 2016) – successfully opposed debtor's pursuit of sanctions for alleged violation of the bankruptcy discharged, and obtained sanctions against the debtor's counsel resulting from the debtor's improper pursuit of sanctions against the guaranty agency for the subject student loan. Seo v. Educ. Credit Mgmt. Corp., Case No. 15-cv-3703, 2016 U.S. Dist. LEXIS 16235 (N.D. Ill. Feb. 9, 2016) – obtained judgment on the pleadings in favor of student loan guaranty agency in an action under the Fair Debt Collection Practices Act after successfully arguing that the defendant was not a "debt collector" for purposes of the FDCPA. Alvarado v. Northland Group, Inc., Case No. 5–00645–CV–W-GAF, 2015 WL 7567091 (W.D. MO. Nov. 19, 2015) and McShann v. Northland Group, Inc., Case No. 15–00314–CV–W–GAF, 2015 WL 8097650 (W.D. MO. Dec. 1, 2015) – obtained dismissal and judgment on the pleadings in favor of collection agency defendant based on alleged violations of the Fair Debt Collection Practices Act after certain information was allegedly visible through the glassine window of envelopes that contained collection letters. Pereira, Jr. v. The Royal Group, Charge No. 2013 CF 0173 (State of Illinois Department of Human Rights) – obtained dismissal for lack of substantial evidence of charge of discrimination under the Family and Medical Leave Act after Fact-Finding Conference. AmTrust Bank v. Love, 5-10-0483 (Ct. App. 5th Dist. Ill.) – successfully obtained Order from appellate court affirming summary judgment decision in favor of client-creditor in mortgage-related litigation case. Mendoza v. Cellusuede Products, Inc. 2014 WL 929219 (N.D. Ill,)., 2011 WL 4684357 (N.D. Ill.) – obtained dismissal by way of motion on behalf of the defendant employer involving claims under the Americans With Disabilities Act. McWright v. Williams, et al., 09 L 007141 (Cook County Circuit Court) – obtained dismissal by way of motion on behalf of third-party defendant contractor involving negligence-related claims. Felde v. Town of Brookfield et al., 570 F.Supp.2d 1070 (E.D. Wis. 2008) – obtained summary judgment on behalf of municipality and municipal employees involving wrongful discharge and constitutional related claims. Aaron, et al. v. Wisconsin Injured Patients and Families Compensation Fund, 04-CV-9012 (Milwaukee County Circuit Court) – successfully obtained defense verdict after jury trial involving medical malpractice claim. Killian v. Arby Construction, Inc., 06-012386 (Worker's Compensation Division, Wisconsin Department of Workforce Development) – obtained dismissal of workers' compensation claim. Dudley v. Erin East, Inc., 06-028119 (Worker's Compensation Division, Wisconsin Department of Workforce Development) – obtained decision in favor of respondent-employer following arbitration of unreasonable refusal to rehire claim. Williams v. Asset Acceptance, 06-20316 (Milwaukee County Circuit Court) – successfully obtained defense verdict after bench trial involving consumer related claims. Cordell v. State Central Credit Union, 2005 WL 3536094 (E.D. Wis. 2005) – obtained summary judgment on behalf of employer involving FLSA and wrongful discharge claims. Jones v. Zeuger, et al., 04-5037 (Milwaukee County Circuit Court) – successfully obtained summary judgment on behalf of individual insured based on issue preclusion. Wollor v. Placon Corp., 04-03402 (Equal Rights Division, Wisconsin Department of Workforce Development) (Affirmed, Wisconsin Labor and Industry Review Commission, July 27, 2007) – obtained decision in favor of employer after arbitration of discrimination and wrongful discharge claims. Bocskor v. Mazda Motor of America Inc., 04-0316 (Outagamie County Circuit Court) – obtained summary judgment on behalf of manufacturer involving product liability/lemon law claim. Snapp v. Rivera MD, et al., 03-6612 (Milwaukee County Circuit Court) – obtained summary judgment on behalf of physician involving medical malpractice claim. Mr. Ortiz is the son of immigrants from Mexico and El Salvador. He grew up on the Southwest side of Chicago. He was the first in his family to attend college and graduate school. Mr. Ortiz earned academic-based scholarships that covered his full tuition to attend post-secondary schooling. He is an avid Chicago sports fan with an emphasis to the Cubs, Bears and Bulls. He is a devoted father to seven and loves coaching sports.